Children experience many physical stresses during their growing years. The resulting problems in children’s spines can occur at almost any point in their development and growth. The first challenge a growing spine faces is the position it is forced to adopt in utero. Many women will have heard of fetal positions that can cause problems with labour (brow, breech, transverse, posterior, etc). What is less well known is that these fetal positions can also cause problems in the baby’s spine as well. Then when we consider the actual birthing process, many of us can understand how this can create stress in a baby's spine—not to mention interventions such as vacumn extraction, forceps or ceasarean section. Since spinal trauma can occur at, or prior to birth, many parents elect to have their newborn’s spine checked right after birth. 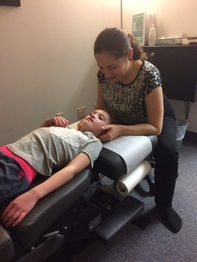 Many developmental milestones such as learning to hold up the head, sitting upright, crawling, and walking are all activities that are affected by spinal alignment and are important times to have a child checked by a chiropractor. Additionally, falls, sports injuries, playground bumps, heavy school bags and sitting all day in the classroom are all physical stresses to the growing child's spine and nervous system. It is estimated that children fall 5000 times before the age of 5 years old. ​That can cause physical stress to their little spines! 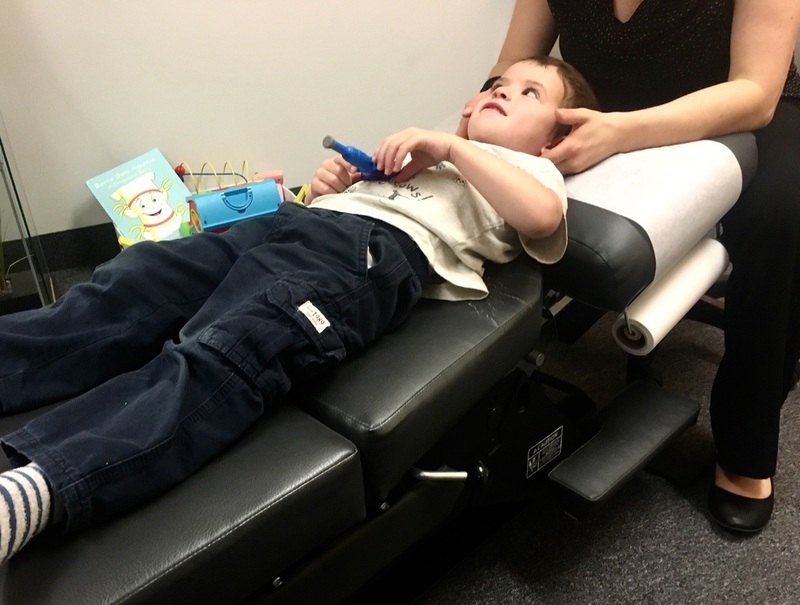 The babies and children in our practice are adjusted with our Activator adjusting tool, giving a very gentle and non-invasive adjustment, that patients of all ages love! We are excited to announce that Vita Chiropractic and Wellness Centre is now hosting Story Time for the all the kiddos in the community! This is a free monthly event for babies and toddlers to attend with their parents. This is open to the public, so any one can attend! Look forward to bilingual story telling, toddler yoga and sing alongs that your child will be sure to love. Vita Chiropractic and Wellness Centre, 1060 Lorne Street. We are proud distributors of the Baby Box Sleep Sack!